From start to finish, the book of Luke is filled with amazement. Throughout the life and ministry of Jesus, those who met him were astonished by their encounter, from the shepherds at the nativity to the disciples at the empty tomb. 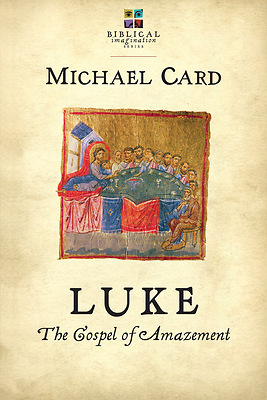 With careful attention to detail, Michael Card embarks on an imaginative journey through the Gospel of Luke. He introduces us to Luke the historian and imagines his life as a Gentile, a doctor and a slave. Card explores Luke as compelling account of this dynamic rabbi who astounded his hearers with parables and paradoxes. What might Luke have experienced as he interviewed eyewitnesses of Jesus? What leads Luke to focus on the marginalized and the unlikely? Why does Luke include certain details that the other Gospel writers omit? Join Michael Card in the work of opening heart and mind to the "Gospel of Amazement."